An exciting process is underway to update the Brantford Campus Strategic Plan, and we need your help! 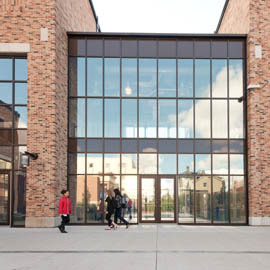 The goal is to create a new five-year plan for the future vision of Laurier’s Brantford campus, while celebrating and further developing our existing strengths. Members ​of the Brantford campus community know the campus better than anyone else; your ideas are valued, and will play an important role in helping shape the new plan. All Brantford campus students, faculty, and staff are invited to contribute during each stage of the planning process. Participation is appreciated but is optional. The online survey for students will launch on Sept. 11 and will remain live until Sept. 29, 2017.​ Students will receive an email in their @mylaurier.ca account with a link to the survey. All data and feedback will be coded and analysed to help shape the priorities of the campus. Note that responses to the online survey will remain completely confidential. The final Brantford Campus Strategic Plan will be released November 2017. Note: This survey is being conducted to gain feedback regarding an update to the Wilfrid Laurier University’s Brantford campus strategic plan and has been approved by the Office of Research Services under file 2017-35 as per university policy 8.2. The survey should take approximately 10-15 minutes to complete. Your participation is voluntary. The information you provide is kept strictly confidential and none of the answers will be attributed to you personally. Data will be kept confidential for a period of four months, then will be securely destroyed. The researcher is committed to creating accessible research to ensure a diversity of experiences and views are captured. Any individual who requires the survey in an alternate format is encouraged to contact Adrian Beam, project coordinator, Office of the Senior Executive Officer, at abeam@wlu.ca or 519.756.8228 x5663​.